One of the four facets of human resource management is training and development. 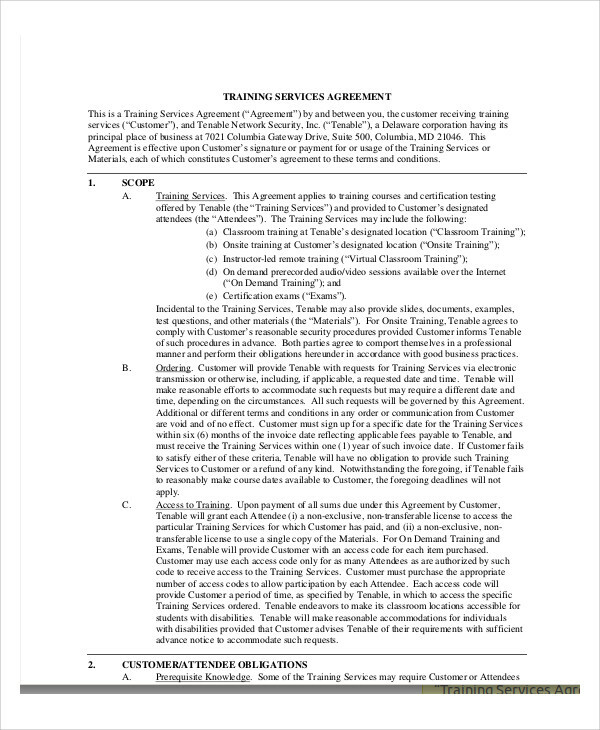 Training and development is concerned with improving the efficiency in the performance of tasks of teams and individuals in an organizational setting. 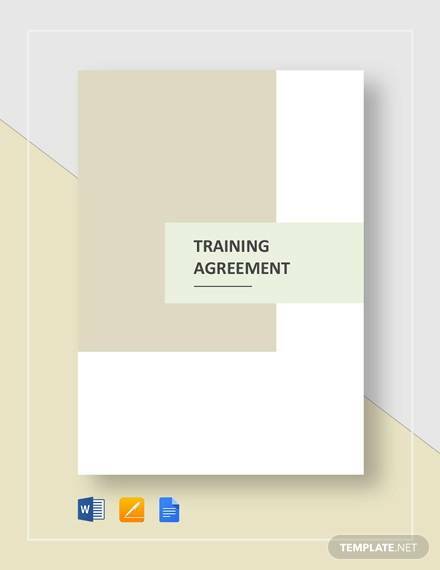 Dale Beach, the author of one of the most widely read human management books, defines training as the organized procedure that teaches people the knowledge and skills they need for the completion of a task. Sometimes, training activities that are organized by the company are voluntary. However, because these workshops are conducted for the betterment of performances of the employees, which, in turn, increases productivity rate, many companies strongly prefer that employees take advantage of these trainings. 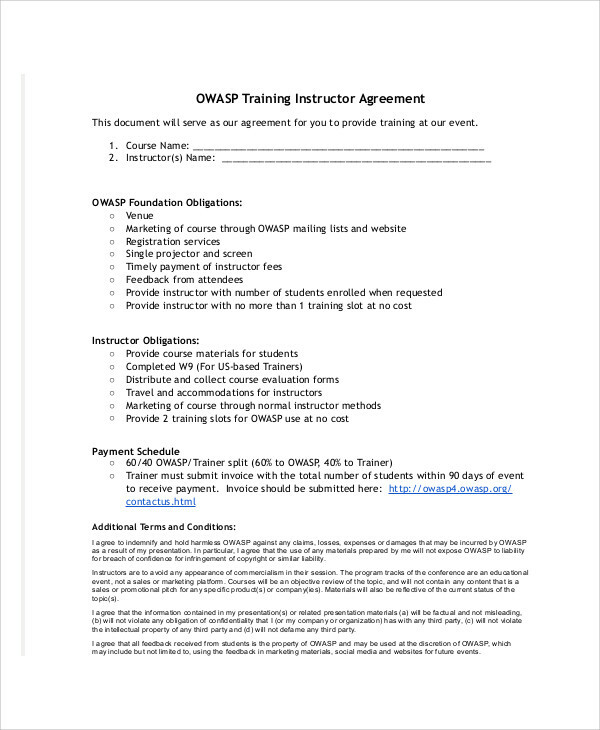 Either way, before the beginning of training, participants will be asked to sign a form stating their agreement to participate in the training activities. 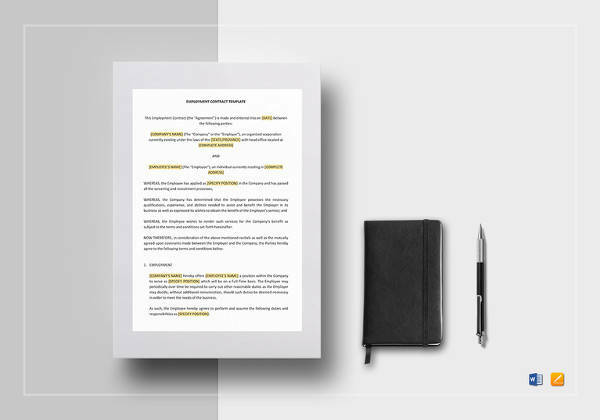 See these Sample Agreements for a quick overview of what should be included in these forms. Two terms often mistakenly interchanged are “training” and “development.” A major difference between the two is that while training is a solution for a present issue, development is a long-term process meant to meet the future needs of an individual perceived by the company as an asset to the organization. In other words, companies train most employees to improve their productivity rates while they develop and groom select employees in whom they see potential for executive positions down the line. Companies allot budgets and drop a small fortune whenever they conduct training for their employees. Why? Looking at it in long-term, conducting trainings are an investment by the company. Training is conducted to improve the technical skills an employee would need to perform their tasks efficiently as well as to develop personal skills that contribute to performance and their relatonship with their peers. Conduct a Training Needs Analysis. Training is conducted with the aim of solving an issue. To do this, trainers must first determine what issues the participants or the organization should address. They utilize tools such as surveys, interviews, and pre-training analyses to identify performance gaps and the reasons behind these gaps. Make a Training Design. Using the results of the training analysis, figure out what methods would be most appropriate for the workshop. 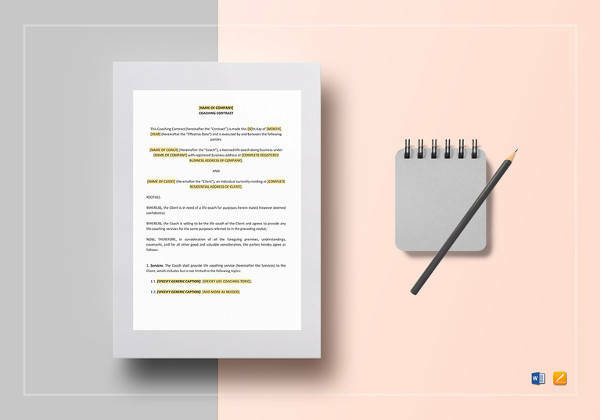 For example, when training administrative assistants who need to improve drafting Subcontractor Agreements, you might want to use a lecture-style training in legal language. However, when trying to build teamwork in a group, you’d have to find another method. Activities would vary depending on the participants’ needs and learning styles. Assess Participants. Assessment may happen right after an activity or long after the training workshop. It is used to determine the effectivity of the training and to assess whether the participants learned what they were meant to. This could be conducted by perhaps asking participants in a legal language training to draft up Sample Contract Agreements. 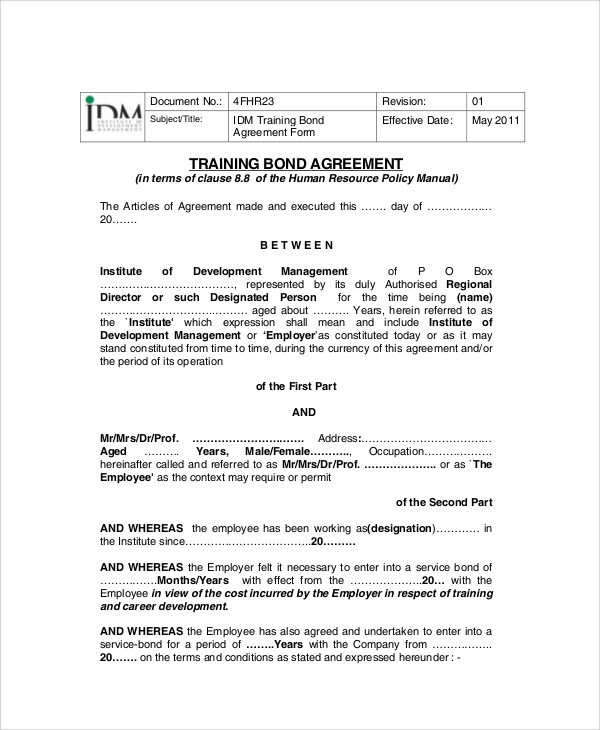 Training agreements are a form of waiver signed by participants stating that their involvement in the workshop is voluntary. 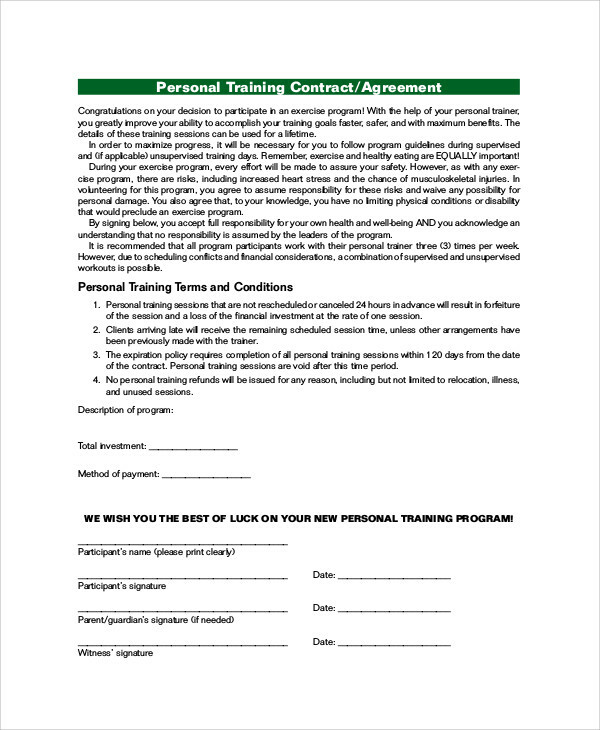 By signing the form, participants agree to participate in all the training activities. 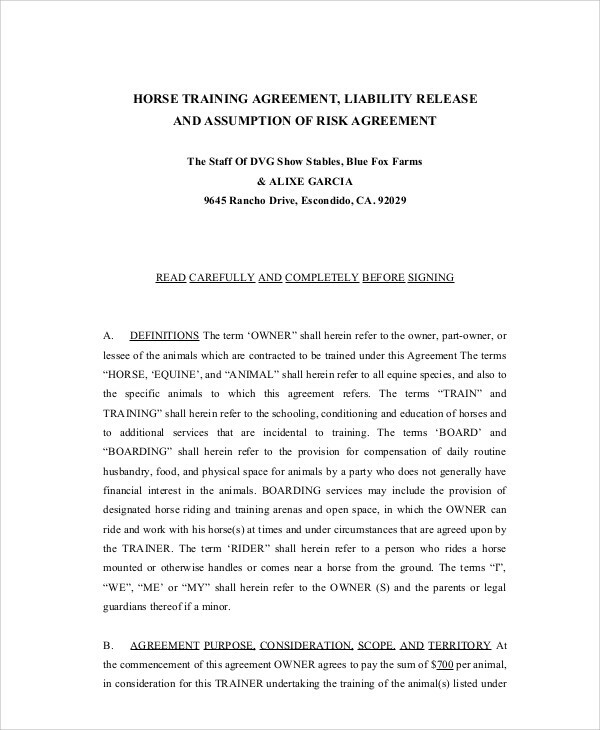 It also waives the trainers of any liabilities should participants acquire any injury as a result of the activities whatsoever in the duration of the entire training. 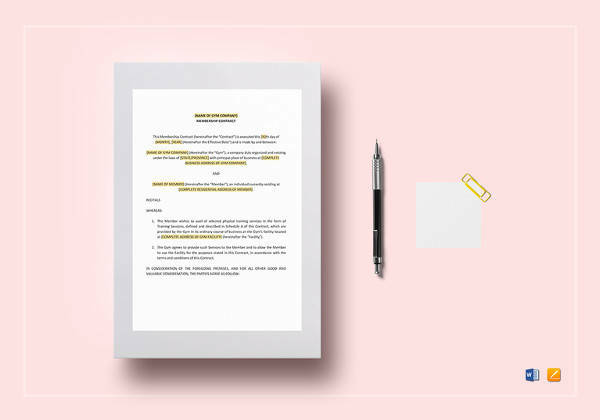 Sometimes, these forms include a confidentiality clause that prohibits anyone from sharing sensitive information that may have come to light, especially during the reflection activities. 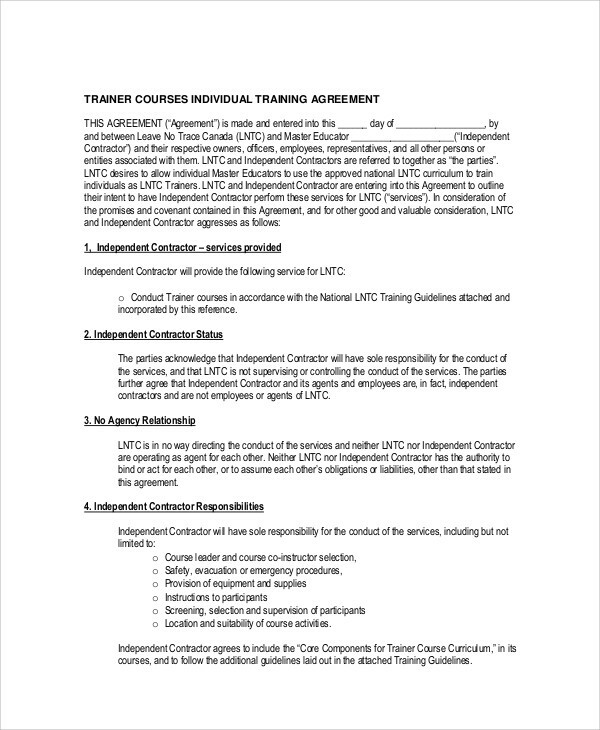 For more contract samples, see these Independent Contractor Agreements we have in the site.